Suitable for most equestrian activities but in particular showing, jumping and eventing on hard ground, Stromsholm Screw in Type TS Studs are made from top grade alloy with a durable Tungsten core. 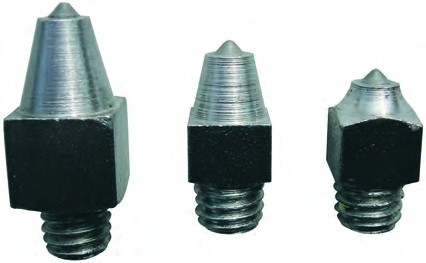 Type TS Studs give excellent soil penetration and unrivaled grip without jarring. There are currently no questions for Stromsholm Screw in Studs Type TS - be the first to ask one!